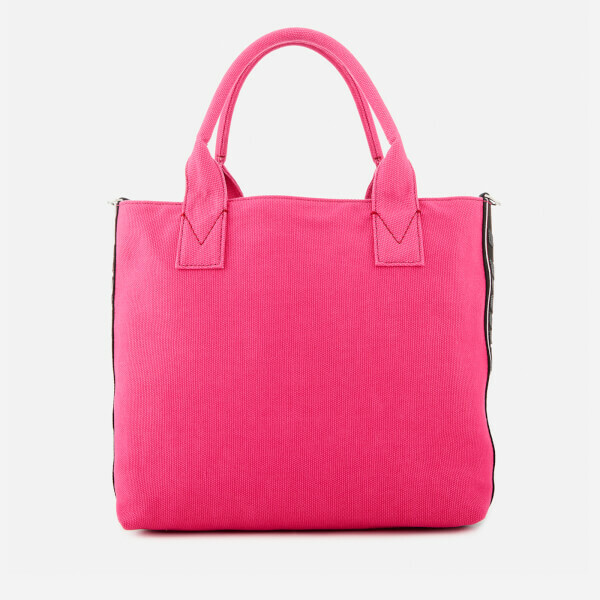 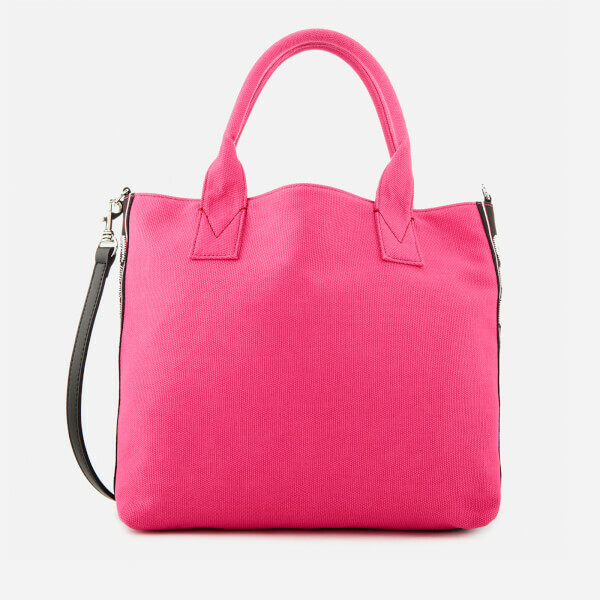 Women’s ‘Abadeco’ tote bag from Italian fashion label, Pinko. 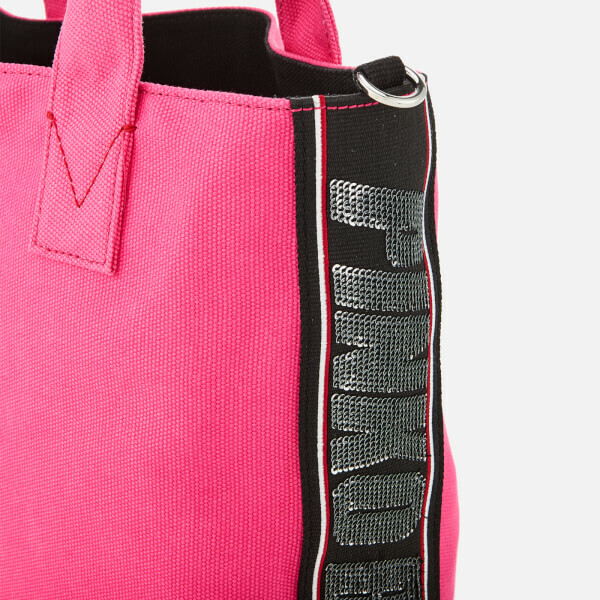 Crafted from cotton canvas, the shopper bag is designed with contrast coloured bands to the side with sequin logo embellishment. 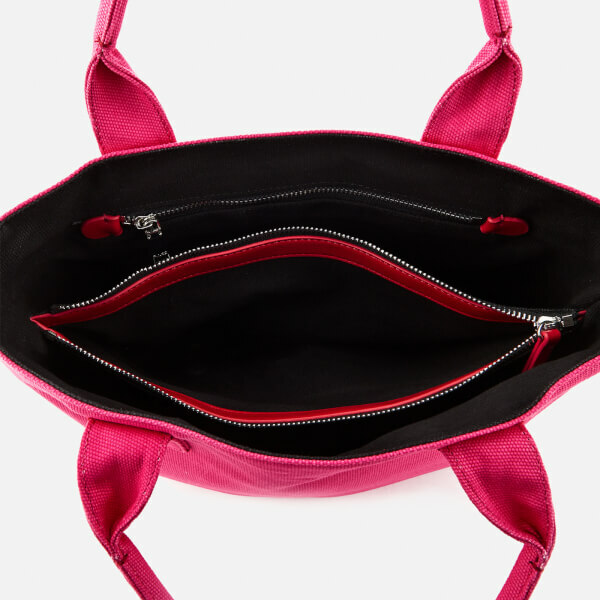 The interior of the bag is fully lined and detailed with three compartments including a central zipped pocket, a zip pocket to one side and slip pockets to the opposite side. 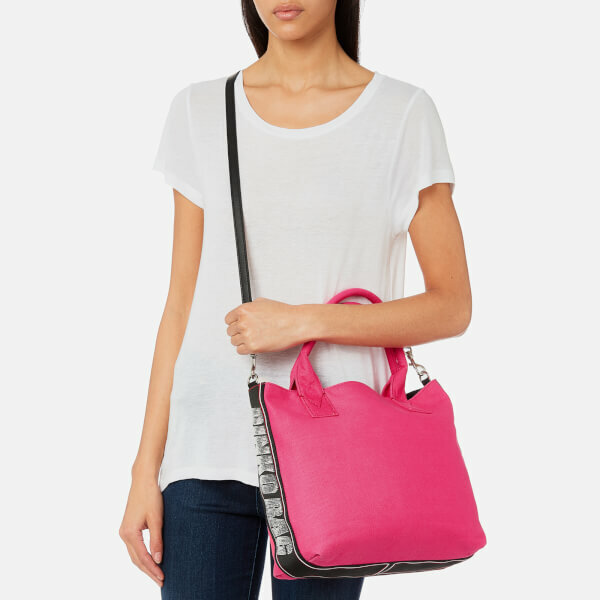 Complete with rolled grab handles, a detachable shoulder strap and silver-tone hardware.